Nift | Careers - We are looking for smart, honest people who roll up their sleeves and get things done. Together, we're giving millions of people gifts they love, while bringing in the foot traffic that makes neighborhood businesses thrive. We are the coders. Builders. Designers. Makers. 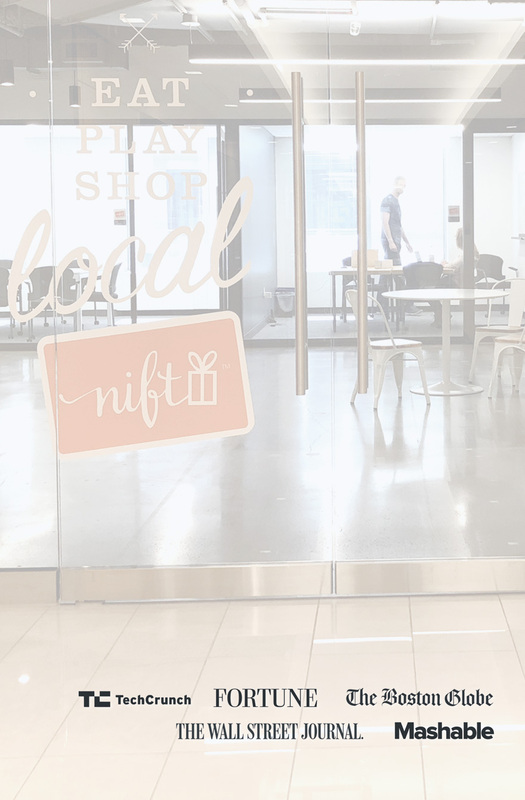 We dream, implement, test, and repeat—deﬁning how Nift works for millions of customers and thousands of merchants. We foster relationships between local merchants and Nift, with a relentless passion to help them grow their business and bring the right local customers through the door. Our team is the heart and core of Nift. Algorithms and models are the foundation upon which our product is built, with data driving our key decisions. Our product represents a new kind of marketplace and the science around it has yet to be deﬁned. We power our network with strategic integrations and partnerships that help our member businesses acquire, delight, and thank great customers. With over a million people using Nift, we're personally committed to making sure everyone has a phenomenal experience discovering a great local business. Our company is only as good as the people we hire. They are the power behind Nift's success. Our team builds, strengthens, and supports every aspect of our company. We ensure our people thrive by creating and fostering an environment which helps everyone flourish. We’re always looking for great people to join our product and business development teams. If you don’t see the right open position, we’d still love to hear from you. We’ll keep your information handy and get in touch if the right opportunity opens up. We believe in rolling up our sleeves and using our powers for good. We believe in supporting our communities. We champion shopping local. And we’re not afraid to use leading edge technology to solve age-old problems in ways that have never been done before. Impossible you say? We live for the challenge. We know that saying thanks goes a long way and that everyone loves getting gifts. We are grateful to be partnering with amazing businesses around town and for our awesome team. We all love what we do and who we’re doing it with. We’re having fun, we’re breaking the rules, and we’re growing.